We understand that when it comes to secure international logistics and secure storage solutions what’s important is really very simple. That what’s vital is that your chosen service provider delivers on time and according to schedule. We also understand that for your peace of mind, it’s important to know where your shipment is and when it has been received and signed for. That’s why we focus on offering unprecedented levels of customer service. On developing technologies that enable us to keep you informed, as often or as little as you want, to save you time and give you peace of mind. It’s why we work closely with you – and why you’ll be on first name terms with the members of our team. You’ll see that each enquiry is significant to us, each shipment matters and you can rest assured that we’ll work with you to ensure safe and secure delivery and storage. Between us we have over 150 years’ experience in the secure international logistics industry and in global business. With offices and partners around the world, Think Global, Think Ava. For a new approach to secure international logistics. For proactive communication and unprecedented customer service. We’re here to help. Advances in technology and global connectivity mean that the secure international logistics sector can change - in fact it must change - in order to meet its customers’ demands for agility and responsive communication. We want our customers to have the peace of mind that we work with the best service providers around the world, even in the most remote locations. Our strategic partner network is built on quality service and reliability. 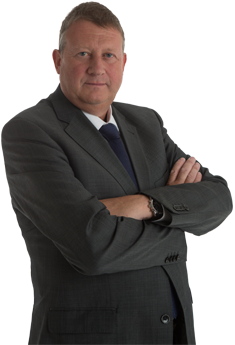 Chris is a UK national with over 20 years’ experience in the secure international logistics and broader Security & FM sectors. Chris was most recently the Regional Managing Director for a leading security services provider. In response to the need he identified within the secure international logistics sector, the need for change, Chris decided to establish Ava. Built on an independent operating model, Chris and his team have developed a strategic partner network of service providers across the world, selecting each one on the merits of their individual performance. Based at Ava’s Head Office in Dubai, Chris has brought together a team of experts from both the secure international logistics sector and client-facing roles to support Ava’s customers worldwide. 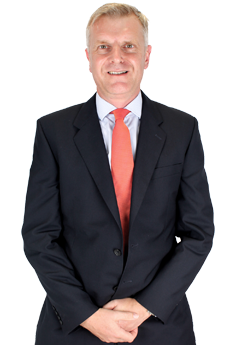 James is a UK national who qualified as a Chartered Accountant with PwC in 1992. Since then he’s worked for PwC on two secondments over a 5-year period to NatWest Acquisition Finance and PwC South Africa. With 26 years' work experience in both the professional services sector and industry, James spent 11 years at a leading security services provider in roles that included group finance, cash services and justice services. A long-term colleague of Ava’s CEO Chris Fergus, James has worked as a Regional Finance Director in the Middle East. In this role he had direct responsibility for businesses in the UK and in the Middle East, together with regional oversight of businesses. Most recently, James was the FD of the African Region of a leading hotel and hospitality group, with 35 business units across Africa. Dan is a US national whose appointment demonstrates Ava’s understanding of the importance of risk management in the secure international logistics sector. With over 15 years’ experience in the security industry, Dan brings with him a significant overall focus on global high-value logistics. 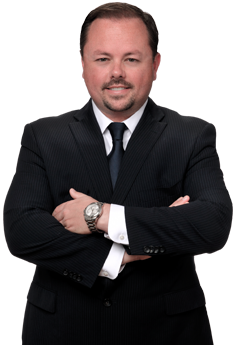 With a proven track record of conducting complex risk audits, loss investigations and managing international security teams and partner operations, Dan brings valuable market intelligence and insights to the company, reducing customers’ exposure to risk. 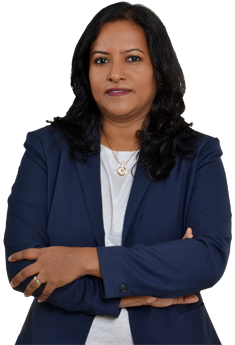 Gwen is an Indian national with almost 20 years’ experience at a leading security services provider. She has held a number of roles in the UAE, including HR Administration Manager and Employee Engagement Manager, moving on to work for the Asia Middle East Region as HR Services Manager and HR Information Systems Manager. Gwen has managed projects relating to annual HR initiatives, including performance management, talent reviews and succession planning and has supported HR leads in sharing best practices across the region. Given Ava’s focus upon continuous improvement and leadership development, Gwen is ideally suited to lead this function. Stefan is a German national with 10 years’ experience of working at a leading security services provider. He started his career in the sector as a Sales Executive and went on to become the Regional Head of Commodities Europe. More recently Stefan worked as the Regional Director for Europe and the Middle East, where he was responsible for delivering strategy and managing key accounts across the region. Stefan has built a new network of strategic partnerships in India and managed several global strategic accounts. 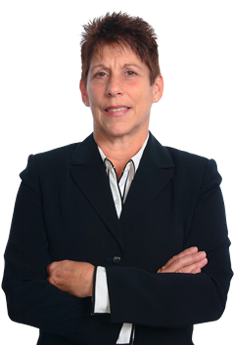 A US national, Nancy has over 25 years’ experience in the secure international logistics sector. After joining the logistics business at a leading security services provider in 1998, she became the company’s Operations Manager. In 2009 Nancy moved on to become the General Manager and led key account management and operations for the company’s Americas division. Nancy has created high performing teams that promote and instil high quality customer service. During her tenure, she was responsible for implementing strategy, negotiating several exclusive vendor contracts and she held full P&L accountability. Andrew is a UK national who has worked in the precious metals market for 34 years. For 22 years he was employed by JP Morgan in a number of roles, including the management of their precious metal clearing, vaulting and shipping business. Andrew has also held risk management and third party logistics roles within the precious metals sector with Mitsui, Investec, Brinks, Fortis Bank and most recently, Standard Chartered. Andreas is a German national who has over 8 years’ experience in the secure international logistics sector. Starting his career as an operations coordinator, Andreas went on to become Sales Executive and Operations Manager for a leading security services provider. Experienced in business expansion and in building client and partner relationships, Andreas has a track record of successful partner acquisition. Chris is an American national and joins Ava from a leading security service provider in Jakarta, Indonesia, where he was the Operational Projects Manager responsible for driving several business strategy and efficiency initiatives related to direct cost reductions, service delivery improvements, and managing project rollouts. Prior to his time in Jakarta, Chris supported various business functions, including corporate strategy, cash operations and processing, sales and market research, commercial and bid management across several locations including Hong Kong, China, Singapore, Philippines, Malaysia, Qatar, Saudi Arabia, PNG and Australia. Ryan is a UK national with over 14 years of strong business development and operational experience within the secure international logistics sector. His most recent role has been Head of International Business Development of a precious metals company based in London where he had a direct focus on new business development within Europe, Asia and West Africa regions. Pieter Botha is a South African national based in the Western Cape Province of South Africa. He has a combined work experience in both the armed forces and the security industry of more than 28 years. Pieter holds an Honours Degree in Business Administration from the University of Stellenbosch. He has been taking care of security operations covering Guarding, Cash and Systems in several Middle East and African countries for a major global security firm over the past 10 years. He has also been involved in Risk Management as senior consultant for Riska Solutio with a client base ranging from local authorities, mining sector, major development projects and retail. His experience in Africa, dealing with diverse cultures, languages and security related factors is an added benefit tothe role. His goal at AVA and FFT is to widen our client base and create sound partnerships that will benefit our partners and provide high quality service to our clients.